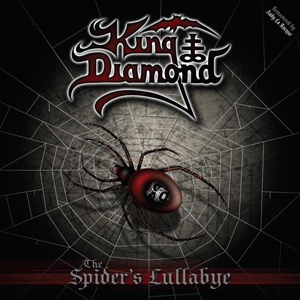 KING DIAMOND will release The Spider's Lullabye Deluxe Edition on November 27th. This new version was re-mastered by Andy LaRocque and includes a four track bonus CD with previously unreleased demos, on which LaRocque performed the solos and KING DIAMOND himself was responsible for everything else. In addition to the CD, a double translucent red vinyl with a 23"x33" poster is available as a limited European import. These can be ordered online now at indiemerch.com/kingdiamond in North America and emp.de/kingdiamond in Europe. KING DIAMOND "Abigail In Concert 2015"